We are honored to have the California Baseball Umpires Association Executive Instructional Chairman Mr. Bradley Hungerford's official endorsement for our upcoming 2019 NFHS Baseball Rules in Black and White . 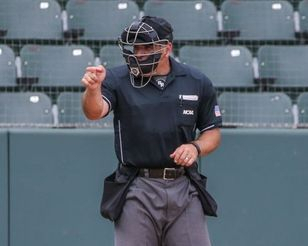 "It is my opinion Baseball Rules in Black and White’s 2019 High School Edition reader friendly content and format should be read and studied by every high school umpire and coach across the country." 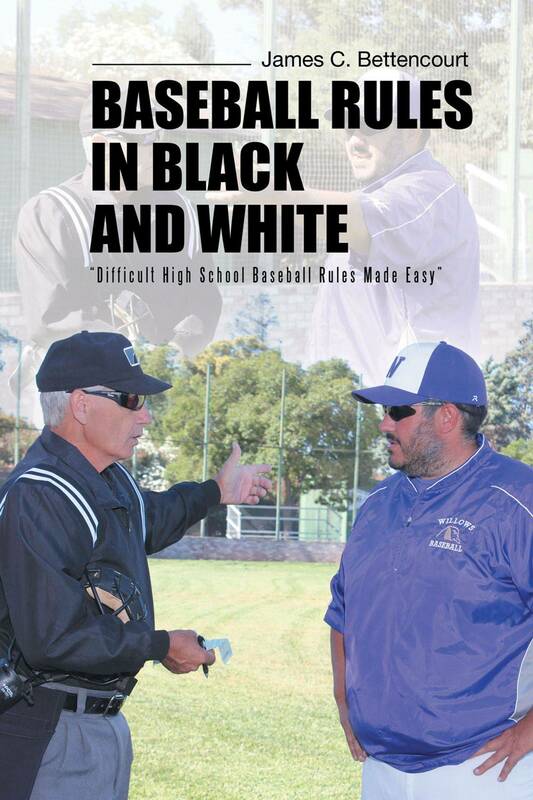 "In the continuing effort to help our members of the National High School Baseball Coaches Association, we recommend the 2019 edition of NFHS Baseball Rules in Black and White as a beneficial and effective resource for all High School baseball coaches"
Take a look at what Jim Bettencourt has put together. You know that we at Triple Play Umpires want you to know how to give an answer, By Rule to a coach. The 2019 NCAA Baseball Rules in Black and White edition will help you to understand NCAA rules, along with the rule references so that your knowledge will be spot on. We at Triple Play Umpires and many others fully recommend that you give this your attention. Just finished reading your newest 2018 College Edition of Baseball Rules in Black and White. I really enjoyed your book’s unique format, it is very well done! It is a great supplement to the NCAA rule Book and I will be recommending it to many other college/JUCO officials! Bio: Dal is from Odessa/Midland Texas is a twenty year tri-sport official, six years working baseball with four of those years working at the Junior College level. My name is Colin Brown and one of the most frustrating challenges I’ve experienced in thirteen years of umpiring baseball is trying to decipher the written hieroglyphics of the baseball rule books. Consistently confusing for the sake of being confusing. Reading the rule book causes most anyone to come away scratching their head asking themselves, “What the heck do they mean by that statement”? It’s nearly as bad as reading a book on real estate law. James Bettencourt has done something most people are not willing to do; identify a problem and do something proactive to effect change. Not just for himself, but for the baseball community at large. Taking on translating baseball rule book language, changing it into an easily understood resource, is a tremendous undertaking and illustrates an incredible amount of integrity. While James has done this with the most inexperienced umpire in mind, experienced umpires benefit as well. Both rookie and veteran umpires gain an improved ability to interpret and apply the rules of baseball correctly. When I recognized that Baseball Rules in Black and White was designed to speed up finding a rule and simplify the rule into basic language, I knew Baseball Rules in Black and White would benefit everyone in baseball. For those who have opened up a rule book and attempted to understand what they are reading, many can associate the same feelings they get when reading their phone bill. This publication is powerful, and it has capabilities to benefit a broad audience having difficulty understanding complicated baseball rules. This book is for umpires at every level of baseball, but far beyond umpires this book should be in the hands of every coach, player, administrator, broadcaster and parent. This book translates difficult rules that are frequently called by umpires, rules that those in baseball and many fans misinterpret. It is written in simplistic but yet comprehensive language that will empower anyone who reads it. I believe in Harry’s message, just like I believe the message in Baseball Rules in Black and White. You must understand what the rule is saying before you can properly call and explain that rule. This is why I believe everyone in baseball will benefit from Baseball Rules in Black White and why it has my complete endorsement. 2016 College World Series NCAA umpire Billy Haze says: " This publication is powerful, and it has capabilities to benefit a broad audience having difficulty understanding complicated baseball rules." National Director at National Umpires Association Jim Stros says: The creative process James Bettencourt has taken putting this book together is one of a kind. Highly recommended for all umpires at every level including all fans, and coaches. A fantastic read. High School Umpires: A must read! This book should be on every high school umpire's book shelf. It is clear and easy to read.It clarifies the most complex rules and gives the umpire (reader) a better understanding of the intent of the rules. I'm sure Mr. Bettencourt will continue updating the content and keep the book up to date as the rules for high school change. I'll be sharing this book with our newer umpires at the Federation of Umpires (over 100 members) in the Bay Area! Kenneth J Paul Sr. says: After decades of officiating in several baseball leagues and divisions throughout Northern California, I was recently invited to join the Northern California Officials Association. Being my rookie year with a new association I diligently studied the NFHS rule book. After countless hours of study, I was introduced to Baseball Rules in Black & White. The simplicity of its contents has boosted my confidence on, as well as off the field.